If you missed #10 click here. Best Moment: The Hunters. They're so damn scary and so frustrating to deal with, and they've never been as terrifying as they were back in this original game over 20 years ago! The original Resident Evil 1 is easy to mock now, the graphics look dated, the acting is cheesy as hell and the Remake from 2002 was just wonderful. But... if you played this game in the mid-to-late nineties, it was so fricking scary. Like it or not, you can't mention horror video games without mentioning the Resident Evil series. 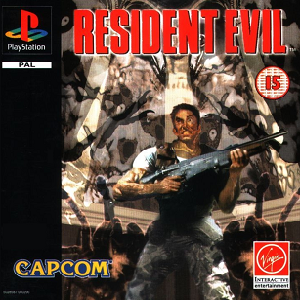 You can debate what the best horror games are all you want, but if it wasn't for this game, it's very unlikely the other games would have followed, or at least, the process would have been a hell of a lot slower. It wasn't the first horror game, sure, but it was the first major 3D blockbuster horror video game, and we need to applaud it for that. And, you know, I still play it now. Sure, it does look dated, and the lines are just hilarious, but the actual core gameplay is still really solid. It's also a tough game, especially if you're Chris Redfield and you have the lack of help Jill has. 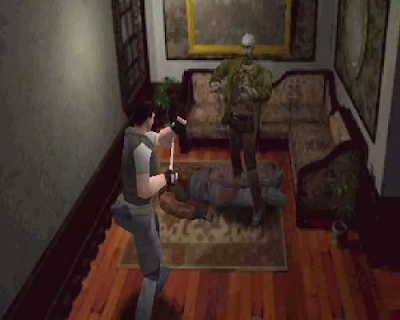 There's so many iconic moments in the game too, the first time you see the dogs smash through the windows, the first time you see Yawn, Plant 42 comes right out of left field, and, of course, you have the Hunters, to this day, probably the most frustrating Resident Evil monsters in Resi history. And the cheesy lines are great, especially the Jill Sandwich and lockpick ones! Resi 1 is just a classic, and it's a shame nowadays it doesn't get the love it deserves, because it's an absolute belter. Looking for #8? Click here to read about it!